On the surface, Stanford, Kentucky may look just like any other small town in the state. With a population of just under four thousand people, you really shouldn’t expect much in the way of luxuries—a few shops here, a restaurant there. 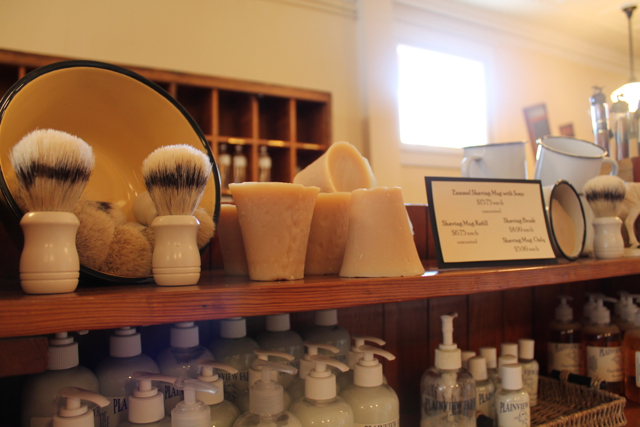 Meander across the street, however, and you will find another one of the city’s hidden treasures: Kentucky Soaps and Such. This small gift shop offers a wide range of toiletries, books by Kentucky authors, and a dizzying array of Kentucky Proud products. 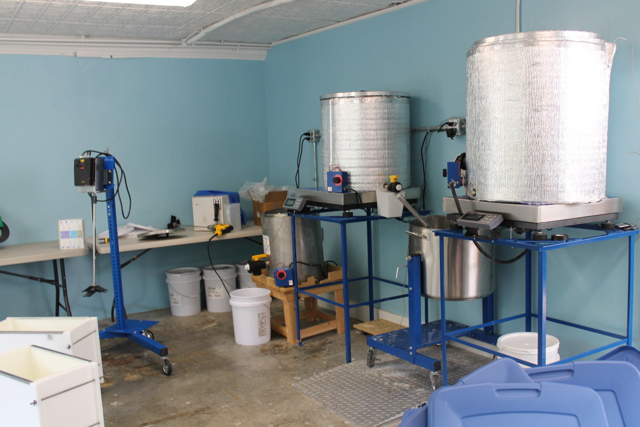 What you may not realize, however, is that all of the soap products are handmade in the store’s basement. 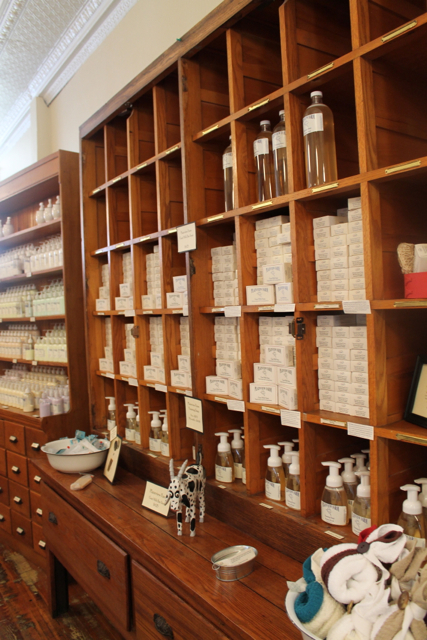 Soap production started out as more of a hobby for the store’s owner, Angela Correll. Her husband Jess was hand milking their goats and a lot of the milk was used in soap production. It quickly grew into something more. 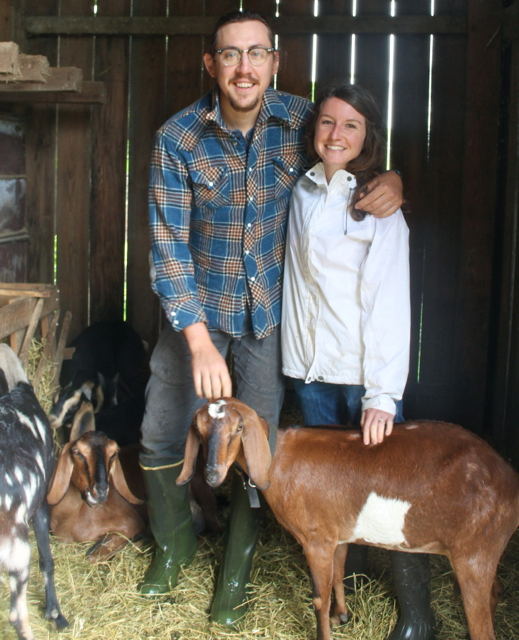 Nowadays, the goat’s milk is supplied by my awesome friends at Sweetgrass Granola. Jacob Gahn milks the goats and then hand delivers the milk to the shop on his bike. This is the family that takes care of the goats that make the milk that goes into your soap! The store employs a full time soap maker and they make a genuine effort to avoid the use of unnecessary chemicals in their products. They strive towards using recycled materials in their packaging and are always looking for ways to be more friendly towards the environment. (To make things easy for you, a typical store-bought bar of soap might have twenty or thirty ingredients, whereas a bar from this store has between five and ten) They are always experimenting with new products and new production methods. 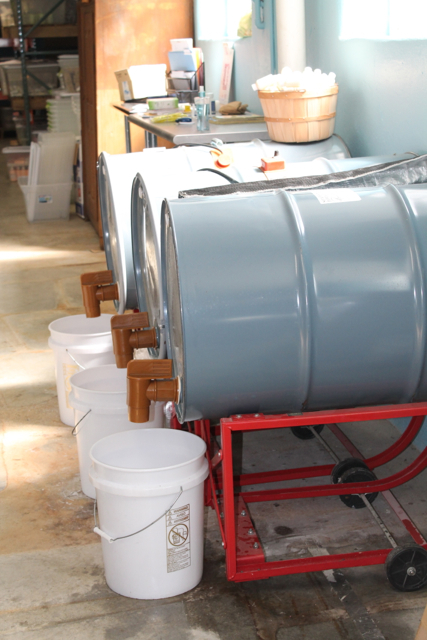 When I was there, they were trying out some natural dyes to color their soaps. 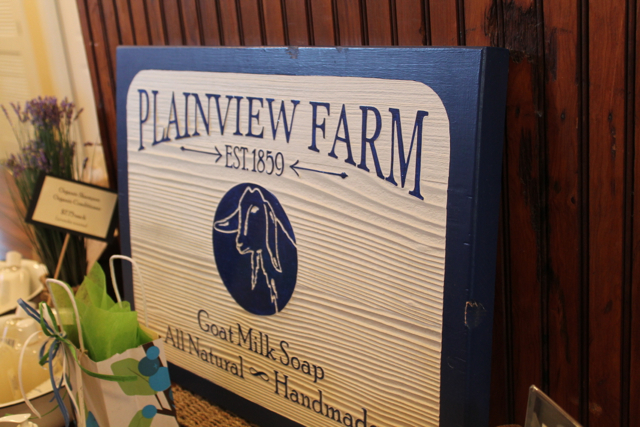 I wanted to highlight Kentucky Soaps and Such because when you go visit the Bluebird (and you WILL, won’t you? ), I didn’t want you to miss this little spot across the street. I had the lovely opportunity to meet Angela, the owner, and her commitment to her community was refreshing. She and her husband have used their financial resources to create the Stanford that they want to live in. By investing in businesses like the Bluebird and Kentucky Soaps and Such, they are putting their money where their values are. Local and natural is important to them, but so is providing economic opportunities for others in their area. To me, it’s pretty much a no-brainer. Why would you go buy a bar of soap manufactured in some far-off plant by total strangers in possibly deplorable work conditions? The soap, filled with toxic ingredients that you can’t even pronounce, is then shipped across the country (or possibly the world). Instead, you can support a Kentucky business that is in turn supporting farmers like my good friends Jacob and Carolyn while giving you a product that is better for you and priced competitively. When I told the beautiful ladies at Kentucky Soaps and Such that I would be writing this post, they wanted to share a little something with you. They’ve generously donated a $75 gift basket to one lucky reader. The Kentucky-shaped basket (could it get any more perfect?) includes a wide selection of their products for you to sample. To enter to win, leave us a comment on this post with the name of your favorite Kentucky small business. To earn additional entries, you can like Sustainable Kentucky and Kentucky Soaps and Such on Facebook—just be sure to leave a comment letting us know that you did! We will pick a winner at random on August 9th. 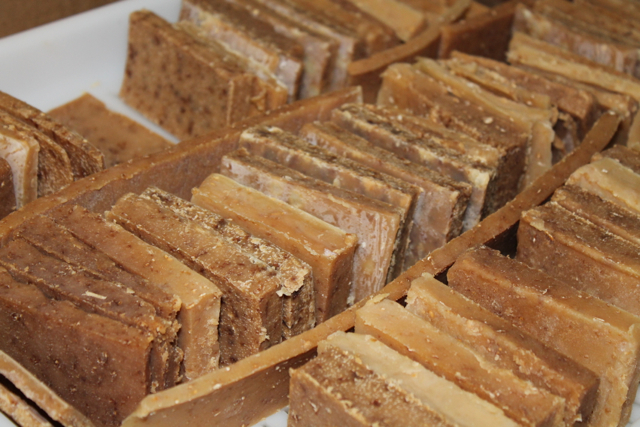 Visit the Kentucky Soaps and Such website for more information on their business and to place an online order. Comments are closed. Maggie Ashmore was the winner of this beautiful gift basket! My favorite KY small business is Rejoicing Acres! The John Shirk family brings organic vegetable, produce, free range meat and eggs to the Bluegrass Farmer’s Market each Tuesday and Saturday. Besides the wonderful products they provide, they provide kindness and compassion. As an example, I and 2 other ladies have undertaken what I refer to as a COOP Co-Op (not a business just personal use free-range eggs). Well we are Novices with a capital N! When we realized that a few of our hens were not, we sought someone to take the boys off of our hands. John Shirk kindly relieved us (and our hens) the burden of living with the boys. I love our local Amish Country Store in Willisburg, KY. I will be visiting y’all soon. This looks like such a FANTASTIC store. I will definitely make a trip from Louisville for a visit! Thanks, Sustainable Kentucky, for providing this reference! How amazing! I love supporting locally owned businesses. My favorites include The Woolery in Frankfort and Coffeetree Books and The Fuzzy Duck, both of Morehead. I have liked Sustainable Kentucky and Kentucky Soaps and Such on Facebook. I live in CO and have never been to Kentucky but will have to add going there to my bucket list. I will visit Kentucky Soaps and Such, and hopefully be placeing an order soon. I love all the new local places that having liked Sustainable Kentucky on Facebook is introducing me to! Kentucky Soaps and Such looks like such a neat place. Having lived in Bowling Green for several years I really enjoy Chaney’s Dairy Barn and Jackson’s Orchard both of Bowling Green. 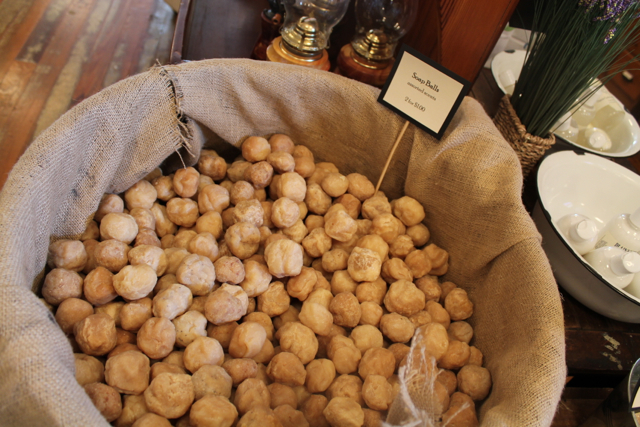 My favorite local business is The Root Cellar in Old Louisville. They link up the farmer to the customer in the form of a small open market store operating out of an old gas station in an area of health disparity, They sell only locally grown products such as produce, dairy and grain, It’s a delightful store and I really enjoy shopping there. 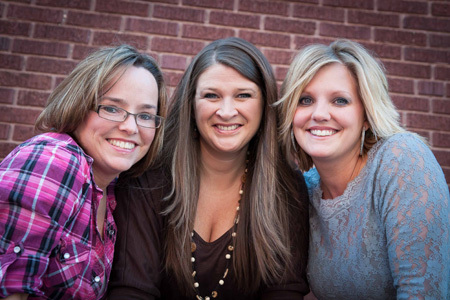 I am learning about many Kentucky small businesses throught your site, so thank you for that. I must admit, I don’t get out much these days, so I haven’t been to many small businesses in KY lately. I’m not sure if Elk Creek Vineyards is still a small business (I’m sure they’ve grow quite a bit over the years), but I’ve always enjoyed their wine. I love everything about Stanford,KY, especially now that my son and his new wife, Jacob and Carolyn reside and thrive there! Kentucky Soaps and Such have fabulous products. My personal favorite is “my” blend of Kentucky Mint Julep and Honey Almond Goats Milk Lotion! But I love going to the store and “testing” them all. I forgot to mention that I like Sustainable Kentucky and Kentucky Soaps and Such on Facebook. We LOVE Hill and Hollow Farm CSA here in Metcalfe County KY! This is a biodynamic, organic, four season farm CSA with owners who are graduates of a sustainable agriculture Bachelors Degree program. They also take interns from the program, to help others learn and do in the best way possible! If we’re ever in Stanford, we will definitely visit. Your place looks wonderful! As for favorite small business, well, how about Kentucky Soaps & Such! Wow, what a wonderful store! I shop at the woolery, and the local amish store, as well as the local produce stores. Thank you. I also “liked” you on Facebook. We will have to visit sometime soon! Looks like a great shop! We love JD Country Milk and Fox Hollow Farm! I love local soaps and am trying to teach that to my daughter. Love giving them as gifts and showcasing the best that Ky has to offer! I love ANYTHING natural…and kudos to you for keeping it green! 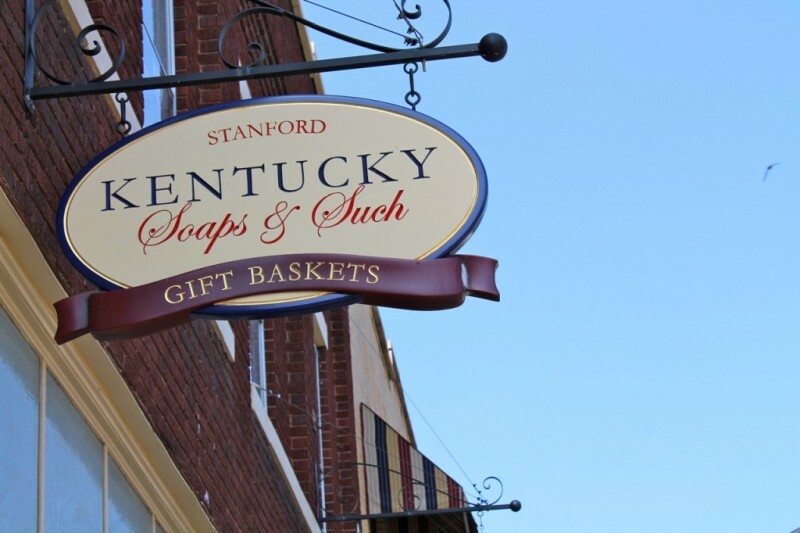 I definitely want to check out the Bluebird Cafe and Kentucky Soaps & Such the next time I’m in Stanford! I “liked” both of them on Facebook. My favorite small business is Baxter’s Coffee in Somerset. As I think of all of the great small businesses, including the Bluebird Cafe (and now I have to get to the soap company, too! ), I have to crow about the Hoover family businesses in South Fork Creek of Casey County. This Old Order Mennonite family runs Sunny Valley Country Store (bulk foods), Hillside Greenhouse & Produce, Misty Mountain Sales (kitchen, housewares, fabric, hardware) and the Casey County Produce Auction–all on a several mile stretch. They are hardworking, humble and their products and customer service can’t be beat. Baxter’s Coffee in Somerset Ky….Wonderful coffee and staff. AND….they roast their own beans!!! My favorite Kentucky business is Peach Corner. It’s like a farmers market but isnt and it’s located in Corbin KY.
Kentucky Soaps and Such (of course) and Marksbury Farm (had a delicious lunch there today).